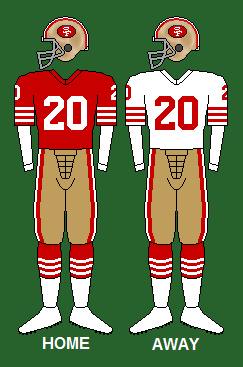 The 1978 San Francisco 49ers season was their 29th season in the National Football League. The team began the season hoping to improve upon their previous output of 5–9. Instead, the team started the season 0–4 for the second straight year. The team also suffered a nine-game losing streak. During the off-season, the 49ers acquired running back O. J. Simpson from Buffalo. Although Simpson had been one of the best backs in the league over the previous decade, he was in poor physical condition and had recently undergone knee surgery. As a result, his playing ability was limited. Owner and President – Edward J. DeBartolo, Jr.
↑ "1978 San Francisco 49ers starters and roster". Pro-Football-Reference.com. Retrieved December 1, 2014.